This week’s five AHAs are from the AHAbook™ Converting Connections to Ca$h and Relationships to Revenue. Please share this URL “aha.pub/ConvertingConnections” in your social media status update to let your friends know about it. The Kindle version of this book can be downloaded for FREE today, October 11th (Thu) until October 15th (Mon)! 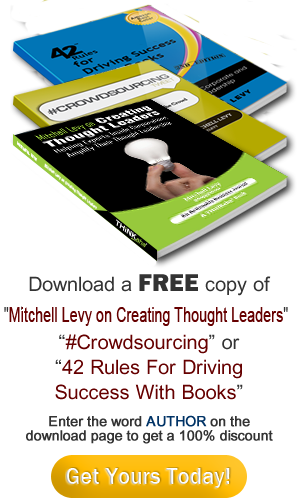 Get your FREE copy here: https://amzn.to/2xY70UZ. Creating connections and building relationships in your business is all about connecting as the real you and giving before receiving. One of the most important skills someone can master is how to connect with others. The best way to do that is by conversing with someone. That is not as easy as it sounds, since most of us were brought up being taught NOT to talk to strangers. 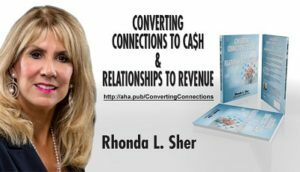 Rhonda Sher, Business Connection Consultant and LinkedIn Expert, shares some of the most powerful ways to make real connections that can impact your life on a positive note, both personally and professionally. Converting Connections to Ca$h & Relationships to Revenue is a powerful book for entrepreneurs, business owners, coaches, speakers, insurance agents, realtors, and other professionals looking to learn more about how to reach out, engage, and build lasting relationships. To see and learn how to automatically share AHAmessages from this book, you may check out this video: https://youtu.be/xfV7_IqRc78. To know how to automatically share via AHAblaster, please watch https://youtu.be/h7BgF53L-LY.